John Anthony Corey (Chef John), age 53, passed away on March 18, 2018 with his wife by his side in his home in Chandler, AZ after a battle with lung cancer. John was born on May 30, 1964 in Hayward, CA to Anthony and Joyce (Cracknell) Corey. He met his wife Jeannette (Buck) in 1995. He proposed to her two months later. John and Jeannette moved to Arizona shortly after in 1996. They were married on October 3, 1998. Their love for each other was their strongest bond. They were best friends, soulmates and life partners. She was the love of his life, and he will always be hers. John’s passion for food began at age 8. 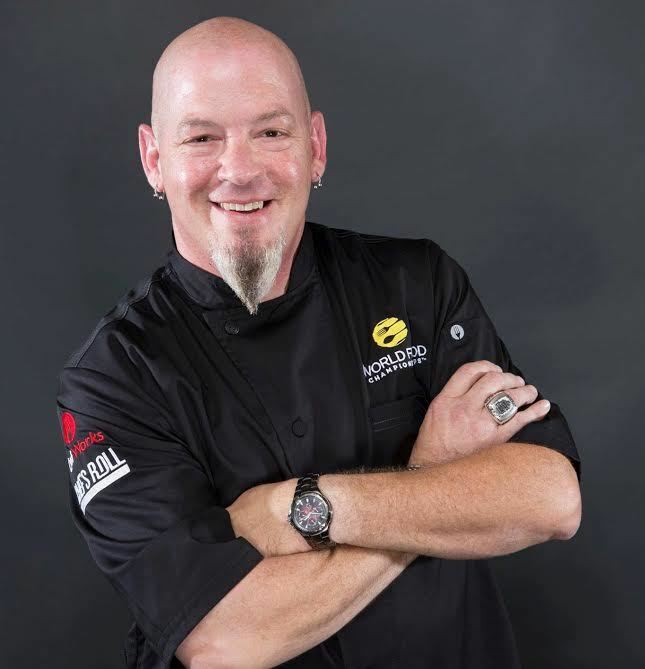 He began his culinary career at age 18 cooking for his boss and clientele by providing gourmet in-home dinner experience services. John was an accomplished celebrity chef, Food Network personality, writer, teacher and mentor. He was the most giving man. He always put others before himself and was an inspiration. His light was put out too soon. John loved food sport. He placed Top 10 in the World Food Championships two years in a row. He went on to be an ambassador for the World Food Championships and continued his passion for food sport. He loved his World Food Championships family. He will be missed by many but remembered by all. John loved to travel with his wife. Their last trip together was to the World Food Championships last year. John was happy to make this trip and spend time with his wife and his food sport family. He truly expected to return this year. He enjoyed spending time with his wife and their fur children. LuLu is the sole fur child remaining. She was Daddy’s little girl. John also loved spending time with his niece, Braidyn. The smiles on their faces when they were together could light up a room. John is survived by his loving wife, Jeannette; their fur child, LuLu Bella Corey; his sisters, Robin (Antoinette Jaycox) Corey and Michele (Dennis Williams) Corey; his aunt, Cande (Rich) Watts; his brother-in-law, Jason (Heather) Buck; and his niece, Braidyn Buck. He is preceded in death by his parents. A celebration of life will be held at a later date to honor John. Please consider assisting the family by making a donation to https://www.gofundme.com/chef-johns-fight-against-cancer. To send flowers to the family of John Anthony "Chef John" Corey, please visit our Heartfelt Sympathies Store.